If your pet rabbit is itching and scratching, he may have a common ectoparasite called lice. Lice can infect both people and animals, and they're quite easily spread (though not between species). Fortunately, pet lice can be treated and eliminated safely if you know what to do. Don't delay getting treatment for your rabbit. Even if it turns out your rabbit has mites or fleas (other biting parasites), you'll want to treat them immediately. 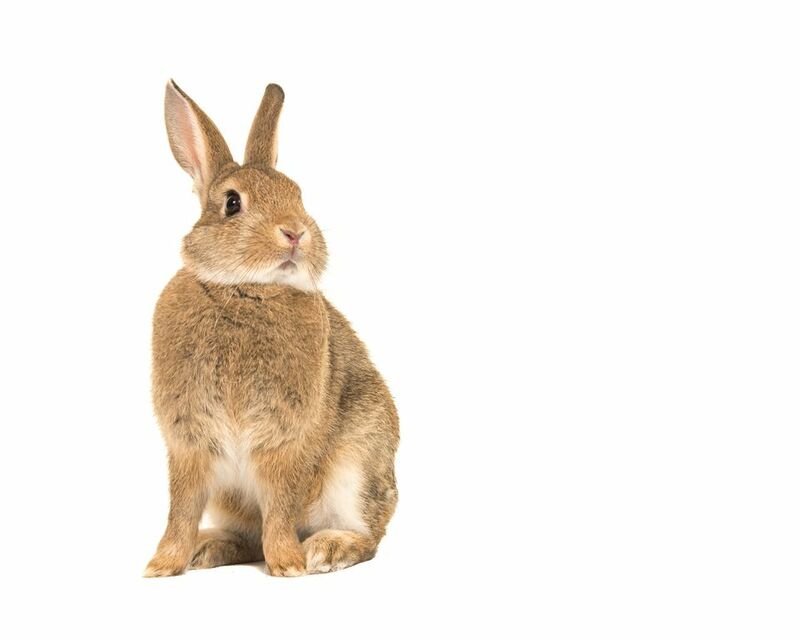 If you suspect your pet rabbit has lice because it seems to be itching much more than usual, seek medical attention from your exotic pet veterinarian immediately. Your exotics vet can diagnose your pet with lice and treat it appropriately. Usually, vets prescribe drugs such as ivermectin or selamectin off-label (meaning the drug is not intended for this purpose but veterinarians routinely use it). Do not attempt to buy over-the-counter medication from a drug store or pet store to treat rabbit lice. Human lice treatments are far too strong for a small pet and can kill your rabbit. Pet store treatments can be dangerous in their own right, causing seizures or just being ineffective and a waste of money. Always play it safe and speak with your vet. After your rabbit has received proper treatment from your vet, and before returning your pet to his enclosure, thoroughly clean and wash the cage, dishes, and any toys in the cage with water and some mild dish detergent. Be sure to rinse all the soap off before putting fresh bedding in. Throw out any bedding and food that could have been previously infected, and freeze any remaining materials to kill insects that may be hiding out. If it is below freezing outside you can also place the cage and belongings (without the bunny in it, of course!) outside to freeze and then replace the food, water, and bedding the next day. Be sure to freeze everything for at least 24 hours. Lice are species-specific parasites. This means humans get human lice, mice get mouse lice, guinea pigs get guinea pig lice, and rabbits get rabbit lice. So don't worry about you or your child getting lice from their pet rabbit with pediculosis (lice infestation). If a rabbit louse jumps on you, it won't bite you and it won't survive. You can't get lice from your pet rabbit, and you can't give lice to him either. Simply put, mites are arachnids like spiders and ticks, and lice are insects like ants. There are also two kinds of lice, sucking lice and biting or chewing lice. The sucking lice are more worrisome than the chewing lice because of the possibility of blood-borne disease transmission and anemia (excessive blood loss). Mites, lice, and fleas are all parasites that cause intense itching and should be treated immediately. Rats, mice, guinea pigs, and gerbils are the most likely pets to acquire lice. Oddly enough, as popular and overbred as they have become, hamsters are not likely to get infected with lice, but guinea pigs commonly do. Rabbits will occasionally become infected, especially if they have spent time with other rabbits, such as at a fair or a rabbit show.